The ECB SuperUtes Series' evolving technical platform has been given a tick of approval from competitors. Upgraded suspension and a new control wheel and R-spec tyre will be introduced across the next two rounds at the PIRTEK Perth SuperNight and Winton SuperSprint. As a result, the dual-cab Utes will be lowered by more than 50mm in total, while the new wheel-and-tyre combination is 6kg lighter per corner. Those changes will commence in Perth, as the category introduces a new modified Supashock front damper and repositioned rear frame, dropping the ride height by 10mm initially. At Winton, a new 20x9.5" Hussla wheel and lower-profile Yokohama R-spec tyre will be introduced, increasing grip and further reducing ride heights. Luke Sieders, whose Sieders Racing operation has built seven of the Toyota and Mitsubishi SuperUtes in the field, says the upgrades are a "very positive thing". 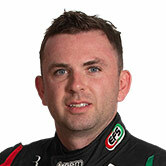 "It's a great start and it is a great way forward for the series," Sieders told Supercars.com. "I'm excited about the changes, I've been heavily involved in instigating the changes as well, and I think it's very positive. "It's going to be a good thing for the series and it's going to be a good thing for the Utes in general, it's going to make the centre of gravity a bit lower. "We've got some cool things happening and it's going to make them faster, but also a nicer vehicle as well, and aesthetically they're going to be more pleasing." Sieders notes the new tyre will mark "the big drop" in ride height and that his operation has already tried the R-spec rubber. "We'll get a bit more scope with the wheel arches when that happens, but the fact that we're dropping them a little bit before Perth is fantastic," he added. "We've actually tested the tyre already without lowering the car and there's a dramatic increase in performance, which is great." 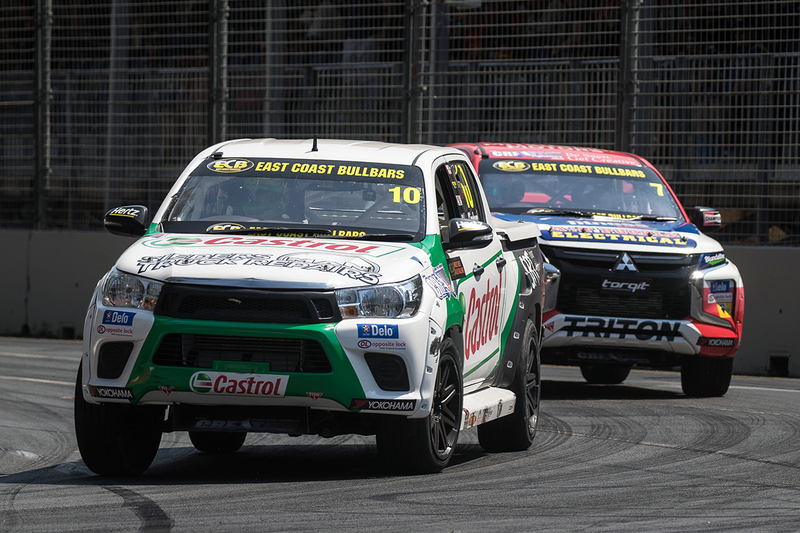 The inaugural SuperUtes champion and 2019 points leader, Ryal Harris is also backing the technical upgrades. 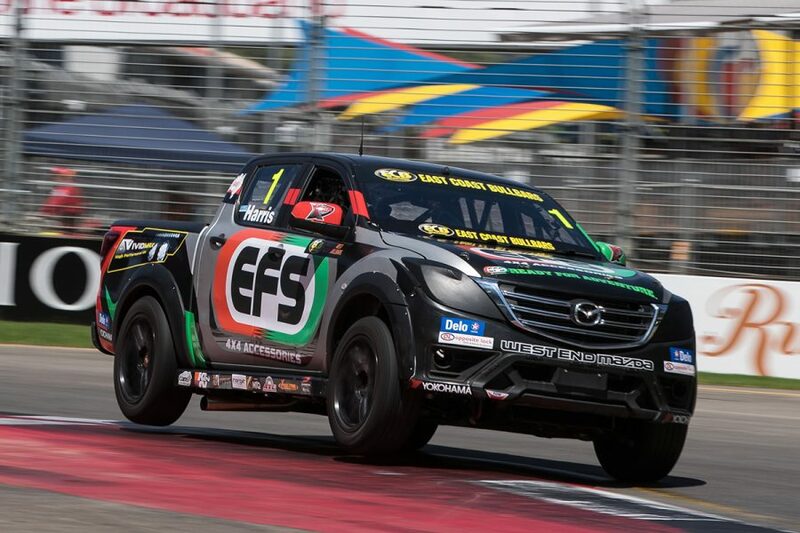 Harris took out the Adelaide season opener in his EFS 4x4 Mazda BT-50, and believes the tyre will enhance racing. "The corner speed is going to be up, so it might bring everyone closer," Harris explained. "It is going to improve the speed of the cars through the corners, make them a bit easier to control and it might be a bit safer as well. "I think it'll make the field a lot closer, when you put a tyre that has more grip, that does that. "When you have a tyre that makes it a bit hard to handle, that spreads it out a bit. "Hopefully the racing will be a bit closer and the field will bunch up a bit, but the main thing is getting rid of that tyre noise. "They'll probably look better, they'll sound better because the tyre squeal will be gone, so they're definitely moving in the right direction." He holds an eight-point advantage over Tom Alexander heading to Round 2 at the PIRTEK Perth SuperNight on May 2-4.